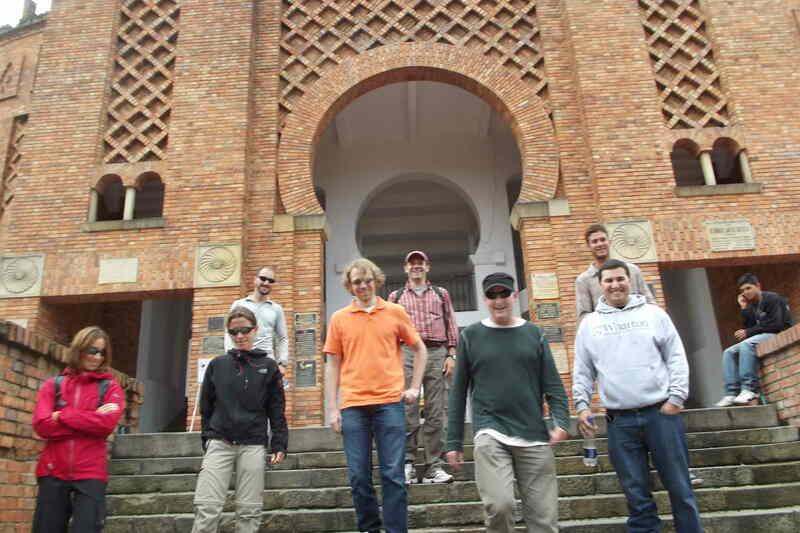 The entrance to Bogotá’s Moorish bullfighting stadium, La Plaza de Toros Santamaria. 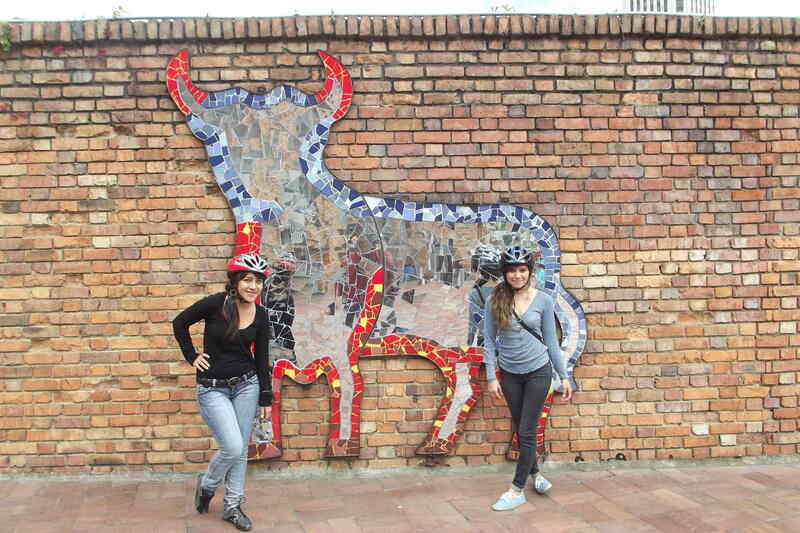 During our bike tours we often visit Bogotá’s 80-year-old bullfighting stadium, La Plaza de Toros Santamaria. It’s a handsome, Moorish building. 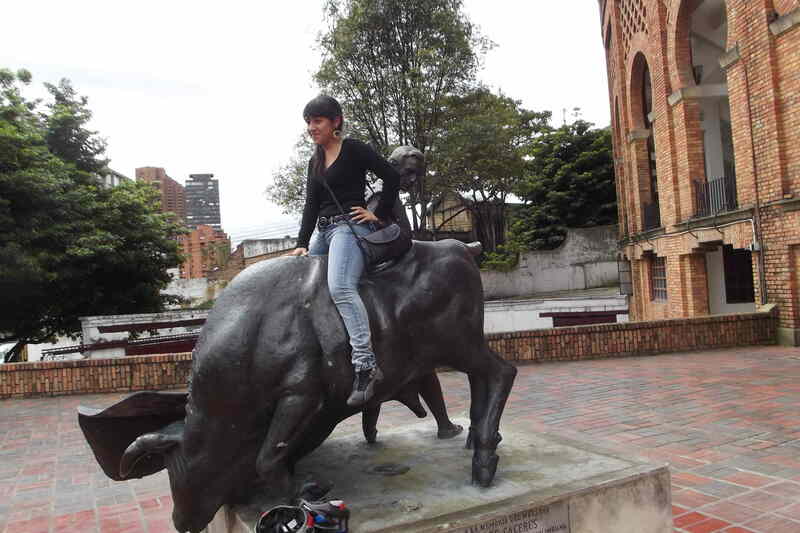 But it may have seen its last bullfight, as Mayor Gustavo Petro intends to end this cruel but storied tradition. 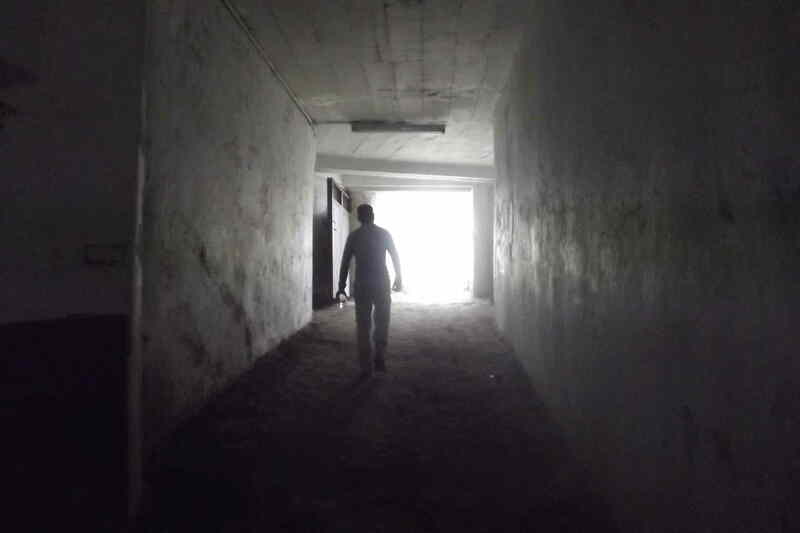 Inside one of the tunnels, which many a bull has passed through on its way to fight and die. 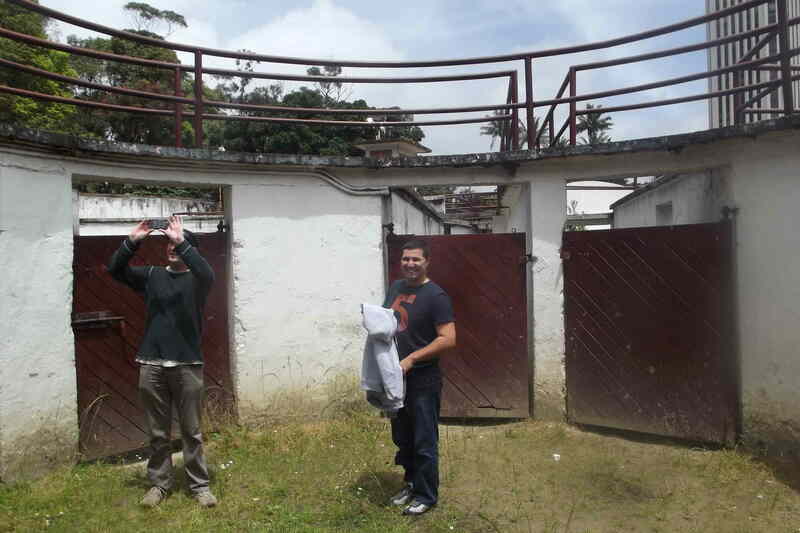 inside the corrals where bulls are kept. 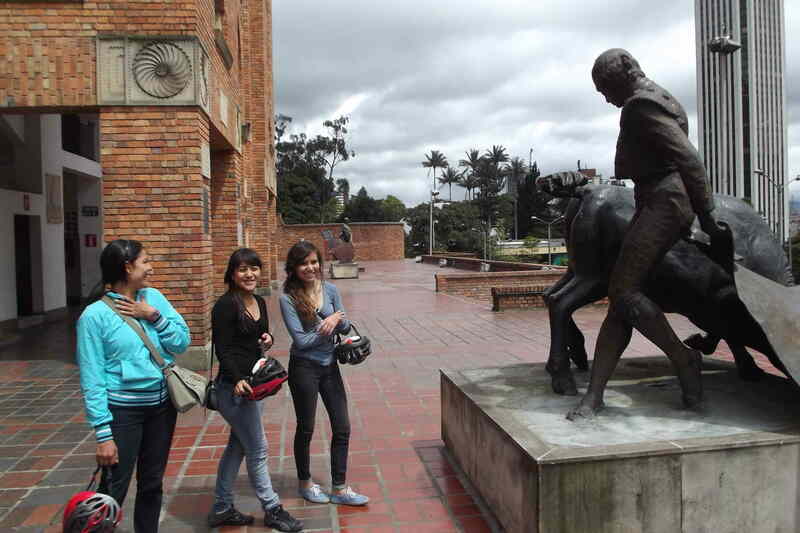 Meeting Pepy Caceres, a legendary Colombian bullfighter who was killed by a bull goring. 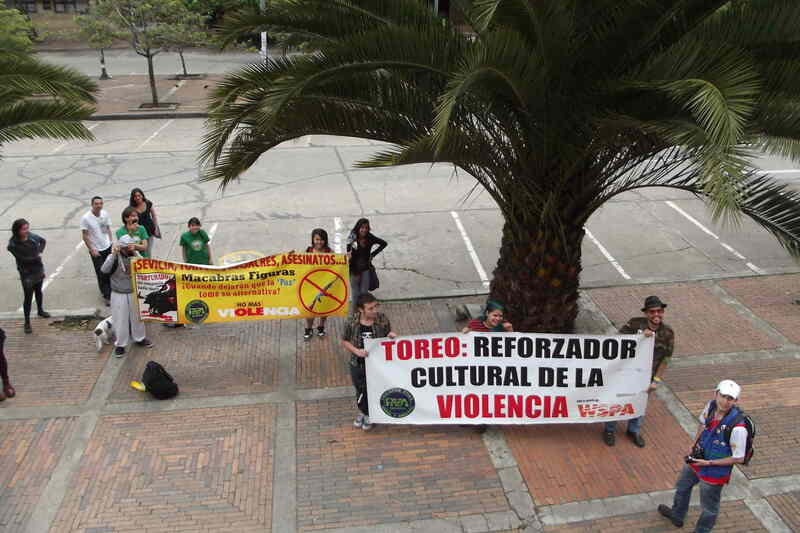 Anti-bullfighting protesters in front of the plaza de toros.